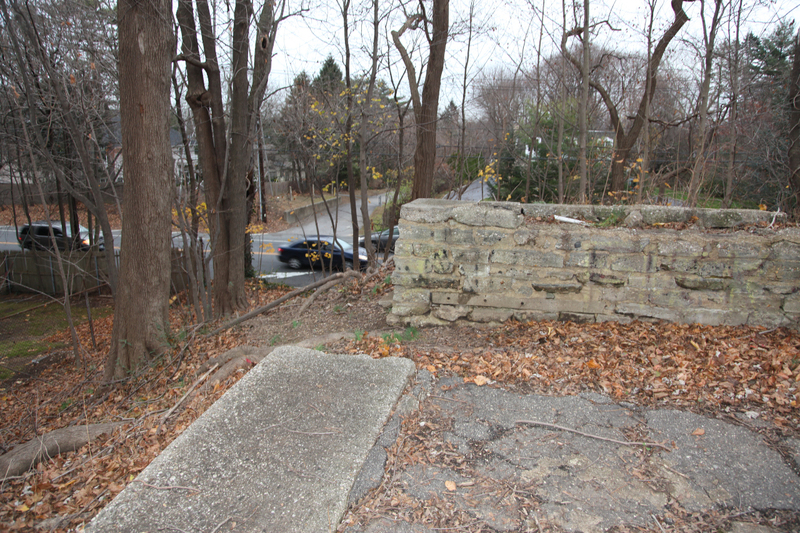 Residents of Roslyn, East Hills, East Williston and Albertson are often very surprised to find out that an automobile bridge existed over Roslyn Road from 1909 to 1940 and that remnants of the bridge exist today. In this 1928 photo, courtesy of the Suffolk County Vanderbilt Museum, the Long Island Motor Parkway bridge over Roslyn Road can be seen in the distance. The Roslyn Lodge, one of the original six lodges designed by John Russell Pope, can be seen to the right. Another view of the Roslyn Road Bridge and the surrounding LIMP area can be viewed at Sam Berliner's excellent Motor Parkway website. The western abutment of this bridge can still be seen from Roslyn Road, just to the left of the "East Williston" sign. Note the concrete wall on the top of the bridge "hill". This wall was built after the Motor Parkway closed in 1938 to keep automobiles from using the bridge. Climbing up the "hill", you find an amazing site...a beautiful section of the Long Island Motor Parkway. 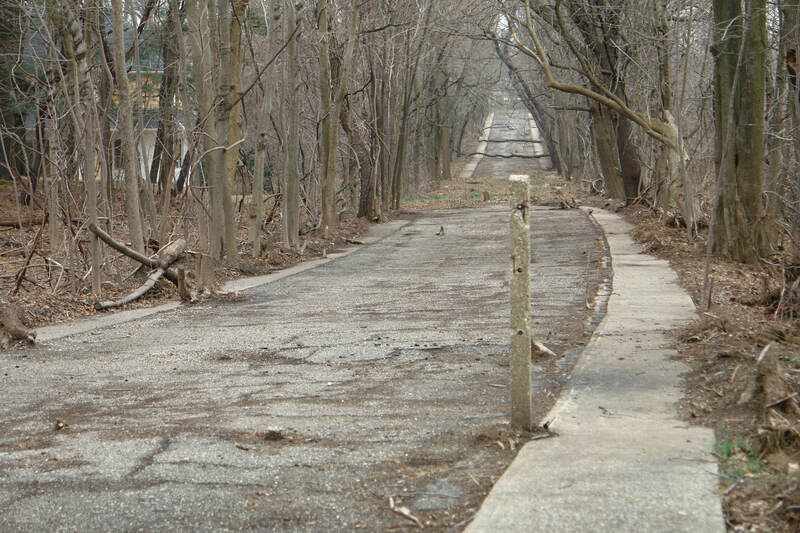 As described in the book Long Island Motor Parkway, this section of the Parkway was originally constructed only 16-feet wide. As shown in this 2007 photo, three-foot-wide concrete extensions were added to both sides in the 1930s. 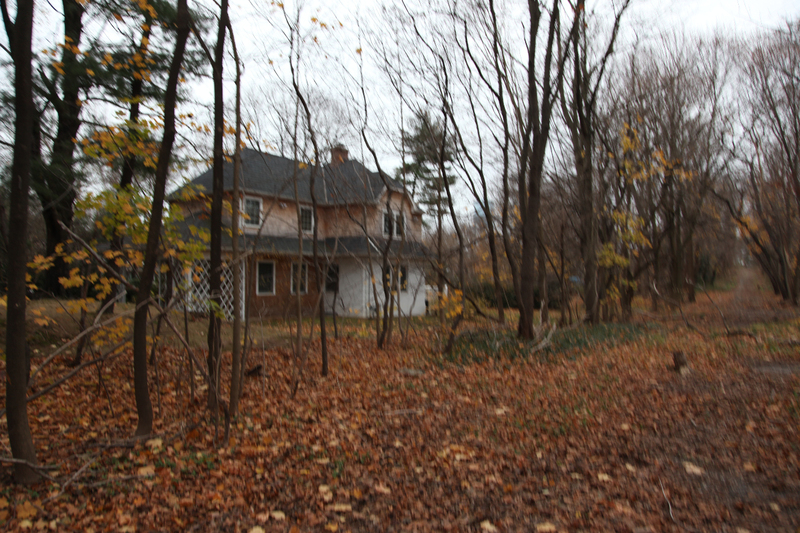 The Roslyn Lodge (still standing to the left) is now a private home. 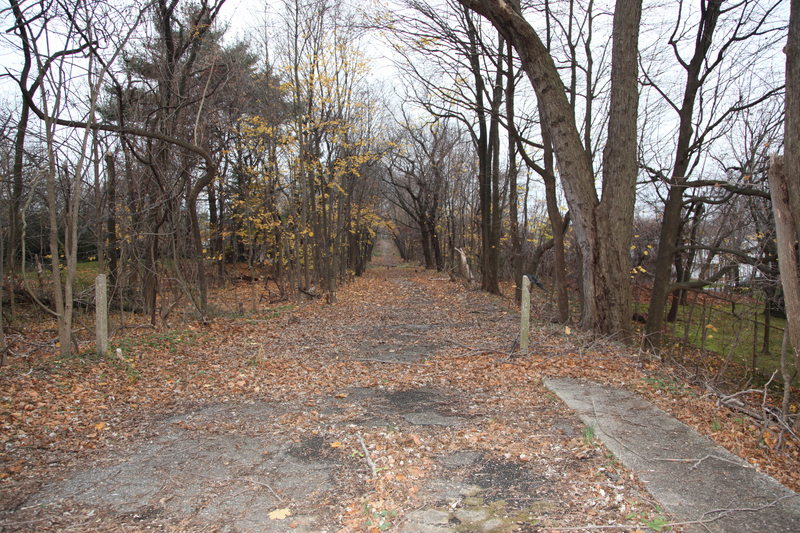 This is the same view of the Motor Parkway in the Roslyn Lodge area as seen in December 2009. Overall, the right-of-way is still in very good condition. The former Roslyn Lodge has been extensively renovated as a private home. Please respect the owner's privacy. 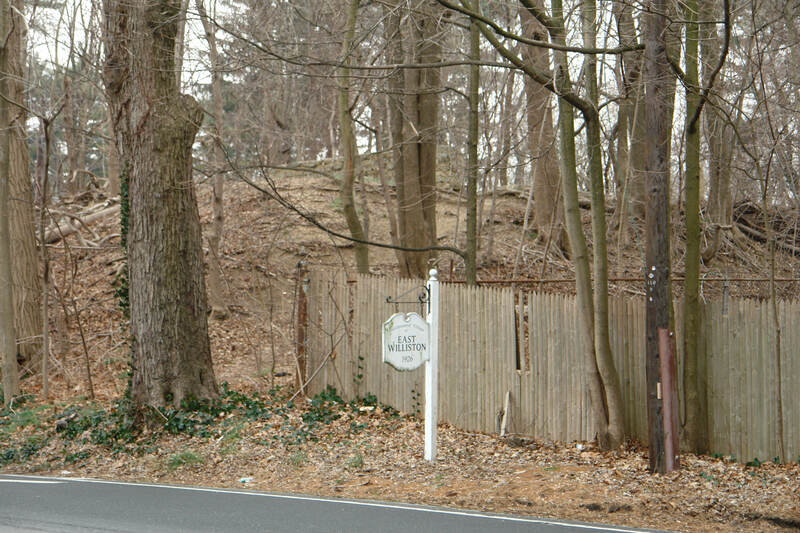 This photo shows the height of the embankment of the Motor Parkway bridge that went over Roslyn Road. When did they strip off all the growth that used to cover most of the road there? When I was there in 2007 or so it was hard to find much pavement. That section looks great!